Benning Violins offers an extensive collection of fine violins crafted by old-world masters like Testore, Balestrieri, Scarampella, Tononi and more. Violins crafted by modern masters like Carl Becker, Roger Hargrave, Douglas Cox and our own resident master violinmaker Eric Benning round out our collection. 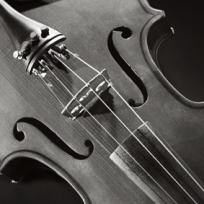 All fine violins are fully restored, in-stock and available for examination and trial.